Click here to listen in to this episode! 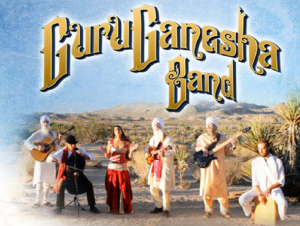 Join Ramdesh in welcoming GuruGanesha Singh of the GuruGanesha Band as the group celebrates its new album, A Thousand Suns, and gets ready to kick off an exciting tour of North America with Deva Premal and Miten. How did the album come to be? Almost all the pieces were written by Paloma and GuruGanesha. When they sat down to write, everything just seemed to flow. 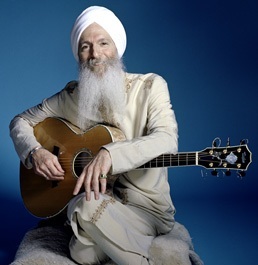 Several of the songs on the album were inspired by talks by Yogi Bhajan: “May the light of a thousand suns shine through; live the life of grace that you were meant to” are words that deeply resonate. When GuruGanesha first met Yogi Bhajan he suggested that the young musician consider using mantras or divine poetry as lyrics. His belief, GuruGanesha recalls, was that inside each human being is a light that is brighter than a thousand suns. The first track you’ll hear on this podcast is “A Thousand Suns,” featuring the hypnotic guitar of GuruGanesha, Paloma Devi’s stunning vocals, and the mesmerizing cello of Hans Christian. It also features the mantra “ang sung wahe guru” which invites the presence of the divine into every cell of one’s body. There is an awesome YouTube video of this track that you won’t want to miss! You’ll also find a fun video of GuruGanesha and friends signing together at Sat Nam Fest West. Ramdesh and GuruGanesha also discuss the band’s upcoming 27-city tour, co-headlining with Deva Premal and Miten. GuruGanesha predicts this “will take mantra music to another level. There’s been so much attention to detail…and we want to show that in this genre we can deliver an evening of a caliber of the top mainstream shows.” Spiritual music takes center stage! What is GuruGanesha’s favorite part of this musical journey? “Our commitment to serving and uplifting,” he answers without skipping a beat. “Every night before we play we get together in a circle and pray, ‘please use us to touch people’s hearts and open them to the divinity that lives within each of us.’” The group is committed, GuruGanesha says, to being an instrument of peace and joy. You can feel the devotion in every note! 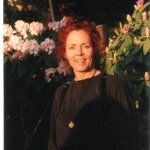 Enjoy this podcast, and as Ramdesh says, “See what happens when you put on a turban and rock out!” Join the flow of love, exuberance, and joy! GuruGanesha Singh on Spirit Voyage Radio with Ramdesh on Unity.FM!